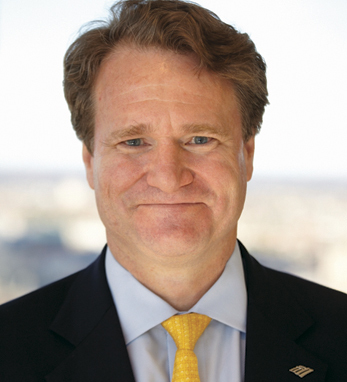 Brian T. Moynihan is the chief executive officer and a member of the board of directors of Bank of America, one of the world’s largest financial institutions. Bank of America serves people, companies and institutional investors with a full range of banking, investing, asset management and other financial and risk management products and services. Brian joined Bank of America in 2004 following the company’s merger with FleetBoston Financial and became CEO on January 1, 2010. He is a graduate of Brown University and the University of Notre Dame Law School. In 2010, he was elected a trustee of the Corporation of Brown University. A fourth-generation Irish American whose ancestors emigrated from Ireland to upstate New York in the 1850s, in a 2009 interview with Irish America he said, “There’s no sense of entitlement, no sense of placement – you’ve got to go out and work hard to get there…I think that’s deeply embedded in the culture of the Irish.” In May, Brian received the American Ireland Fund’s Leslie C. Quick Junior Leadership Award.